Neurologic illness in pregnant women requires special consideration on the part of the neurologist. These disorders can impact pregnancy in distinct ways, and their therapies must often be modified to protect the health of the mother and fetus. 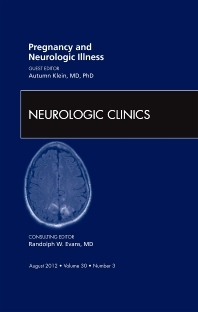 This issue of Neurologic Clinics features 11 articles on the interaction of the main neurologic disorders and pregnancy.